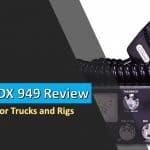 The experienced truck drivers insist that you that you should use a good dual CB antenna if you want the best CB communication during your journeys. The debate between single and co-phased CB antennas has been there since the 70s. Any guess who is the winner? Well, it depends upon the condition. But one thing I can guarantee you is that a dual antenna can have a tremendous impact on signal reception and noise-free communication. 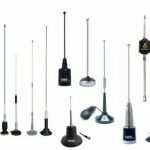 This article is a complete guide to help you when to choose a dual CB antenna, their advantages, recommendations of some of the best in this category and most of all how to install them. 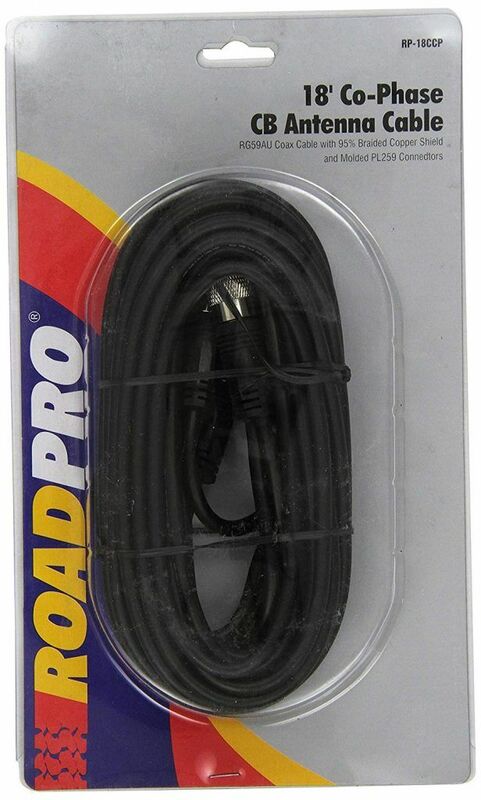 If you’re in a hurry, here is our top pick: RoadPro RPPS-23KB. 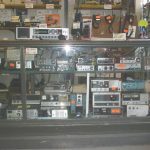 Most of the CB radios are powered with 5W. This might make you think that using a dual antenna set up for your CB radio is a waste of power. A rough estimate will indicate each antenna will be getting around 2.5 Watts power only. It might sound crazy; the advantages are beyond the power rating brother. The greatest advantage of using a dual CB antenna kit is reducing signal blockage. It comes in handy when you need to constantly communicate with other drivers on the same highway. If you were using only a single CB antenna, you might have seen a noticeable drop in signals while taking turns. Moreover, if your trailer is larger in size and if the antenna is mounted on the front side, the chances are higher you can’t properly communicate using CB with those vehicles coming from the backside. It might sound weird to some of you that a dual CB set up can increase the range. You might be thinking the power is the same and how can I get more range? The increase in the range comes when you’re placing the CB antenna on the front and back side of your vehicle. This set up makes sure that you get a better range than a single antenna installation. Let us talk some technical facts to make it more clear. A single CB antenna has a uniform circular signal pattern. It’s capacity to send and receive signals is distributed equally in all the directions. On the other hand, for the dual CB antennas, the signal pattern is oval shaped and it gives better range. If you’re using a single antenna for your CB, you might have noticed a loss in communication for fiberglass vehicles. This happens when there is a little reflective ground plane to radiate energy from. But if you’re using the dual antennas, each of the antennas can use the other one’s radiation field and thus providing a better-combined energy radiation. The 4 Watt power available is not enough for hassle-free communication. That is why most of the truck drivers use CB amps to boost up the power. If you’re using linear amplifiers, there will be a lot of heat dissipation through the antennas. If you’re using only single antenna, it will have far less ability to dissipate the heat compared to the dual set up. Finally, we have reached the most important part of this article; yeah, the reviews! Let me tell you that there are many good brands providing the dual CB antenna kits in the market like Roadpro, firestick, Solarcon. 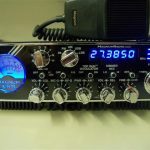 Without any doubt, RPPS-23KB kit is the ultimate winner when it comes to dual CB radio antennas. It comes with 16 Gauge copper wire, coax cable, mounts, and antennas. The components ensure maximum output and reception. This high-quality hardware is the perfect pick for offroad vehicles and trucks. Moreover, you can use it with any CB antennas, not just the Road Pro products. 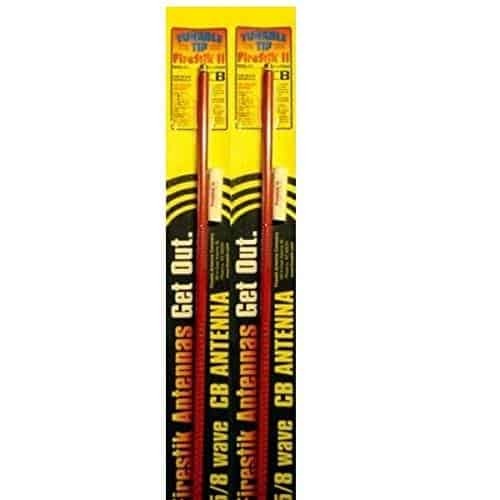 We suggest you buy a CB antenna spring kit along with this product to make the antenna kit long lasting. RoadPro RP-18CCP is another good recommendation when it comes to dual CB antenna kit. It’s an excellently built cable set that will make a tremendous impact on your dual CB set up. 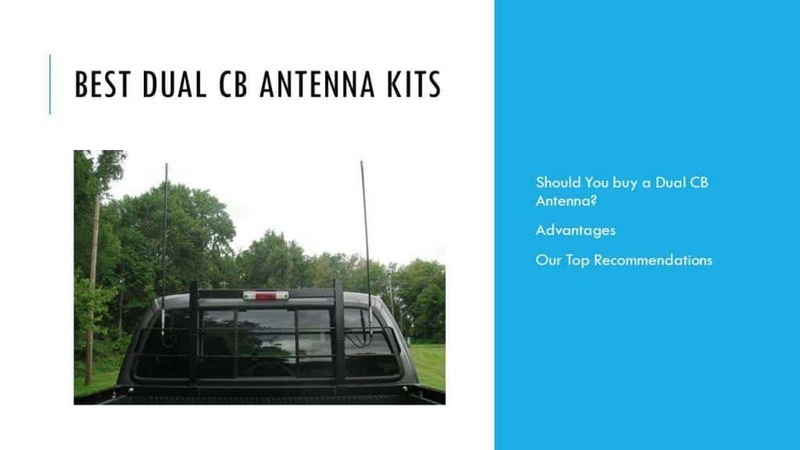 One issue with this set up is that you will have to purchase the CB antennas your own. It’s not available with the kit. 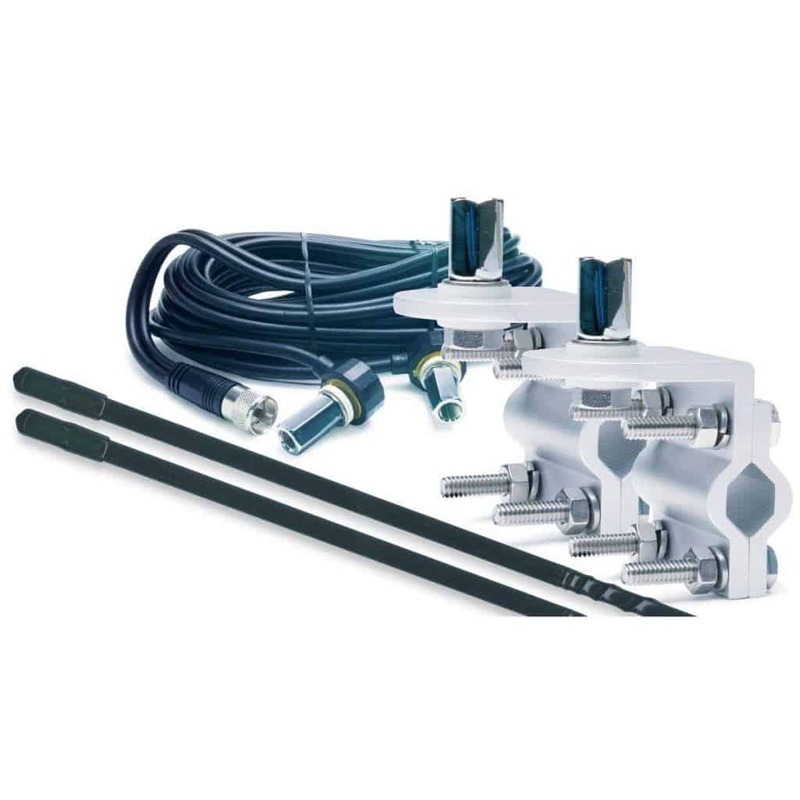 The RP Antenna coax cable and the connectors are built with decent quality. They will give you a commendable performance. But make sure that you know the right distance between the antennas. You can the details from your antenna’s catalog. Many happy customers have got 1:1.2 SWR using Firestik CB antennas and this kit. Firestik FS is heavy and stiff and built with high quality. Many users think of it as the best in the market. The dual CB kit comes with directions and with the help of their websites and tunable tip, the antennas are easy to tune. With the comfortable height of the Firestik, driving with it is easy in drive-thru and parking lots. The tunable tip is very helpful with SWR and gives a clear signal range within a few hundred feet. For the most balanced performance of the CB dual antenna, it needs mount keeping 9 feet distance between the two antennas. Spacing less than 5 feet is not ideal. We don’t always recommend people to go with the co-phased set up for pick up trucks. There has to be some minimum distance between the two antennas to get the best results, as I have told above. I’m afraid that much distance is not available when it comes to pickup trucks. But experts who are good at fine-tuning the antennas can get good results even if the distance between the antennas is very small. It’s unlikely that most of us get a decent distance in the case of pickup trucks. I’m sure that a quality single CB antenna can do the job in the case of pickup trucks. Nowadays many vehicles are seen running on the road with dual antennas, especially the pickup trucks and big rigs. Dual antennas on the mirror side give your truck classic and rugged look, but looks aren’t everything. 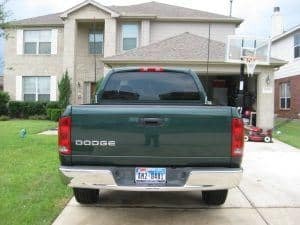 Many truck owners replace their single CB antenna with CB dual so they can “hear” better as they claim. 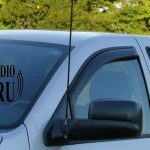 So think before replacing your single CB antenna with the dual antenna setup, don’t go with misinformation and install the dual CB antennas at the wrong place just for the classic look of your vehicle, maintain the proper distance within two antennas for better performance and use right coax CB cable to make the dual CB antennas work. Hope our reviews have and recommendations have helped you in finalising your choice.